Some of my favourite skincare products are from La Roche-Posay, such as the famous Effaclar Duo+ and Serozinc. They have recently released their first coverage product, a skincare/makeup hybrid called the Effaclar BB Blur. I do not own one single tinted moisturiser, BB or CC cream of any sort; having less than perfect skin prone to breakouts and consequent scarring means I reach for high coverage bases like a comfort blanket. However after having read lots of rave reviews and seen some before and after photos of the Effaclar BB Blur, I thought maybe this could be the one to convert me. 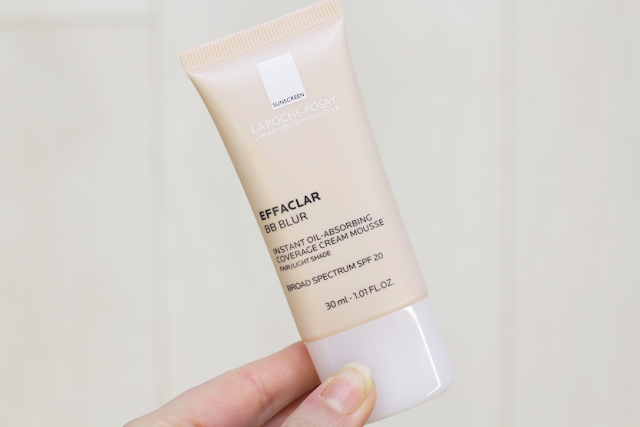 The La Roche-Posay Effaclar BB Blur is specifically designed for oily skin, with two main aims - firstly, to provide day long shine control and secondly, to blur the appearance of blemishes, pores and fine lines. One of the ingredients is Aircilium (used by NASA don't y'know), which is meant to absorb three times its weight in oil, keeping the skin matte but at the same time still letting it breathe. It does not contain any parabens, is non-comedogenic (does not block pores) and contains SPF20. The Effaclar BB Blur comes in two shades, Fair/Light and Light/Medium, which both contain pigments that adapt to the shade of your skin on application and provide medium coverage. The 30ml tube retails at £16.00. 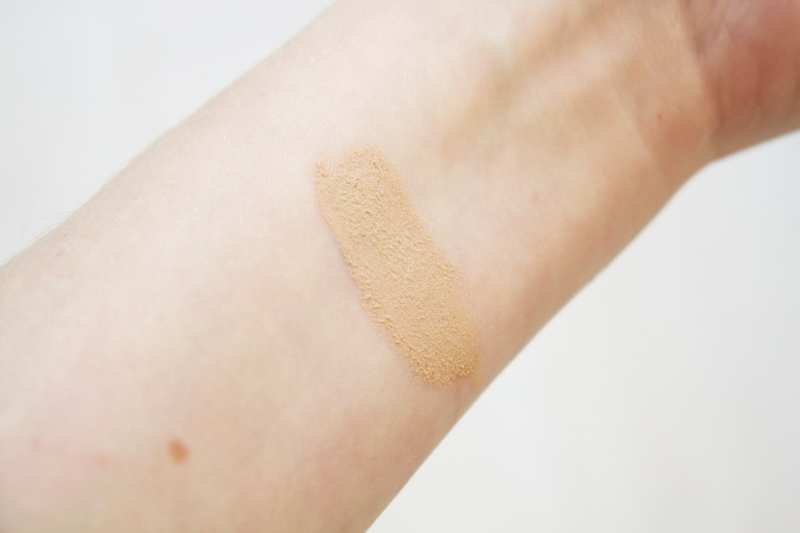 I have the shade Fair/Light and when I first swatched it I thought wow, how is this ever going to suit my super pale skin. However as I blend in the creamy mousse formula with my fingers, it is just like magic the way the colour transforms so seamlessly to my skin. 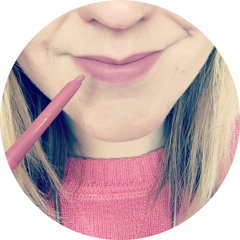 It has such a light texture that makes application super quick, easy and means you can't tell you're wearing it - oh apart from the fact it makes your skin feel oh so velvety soft. Although the Effaclar BB Blur is matte, the blurring technology seems to add radiance somehow and works incredibly well at evening out the skin and softening the look of imperfections. Make sure you moisturise properly first though, because it makes any dryness stand out like a flashing red light. I wouldn't agree that this provides medium coverage, I'd say it sits a little lower down the scale; the Effaclar BB Blur covers general areas of light redness but with very concentrated, red spots or scars I need to add quite a few layers of heavy concealer on top. But for a BB product it's damn impressive. Plus I don't need to set it with powder and it still keeps shine at bay all day. Overall I think this is an absolutely fantastic product. I won't be wearing it every day, but I can see myself it reaching for it on good skin days, especially in summer when it's hot and I want to wear a lighter base that won't slip in the heat and will keep oil under control. Available online now from Escentual here. Have you tried the La Roche-Posay Effaclar BB Blur? I'm so intrigued by this as I love a matte base but I prefer fuller coverage so not sure how I would get on with this! Great how the shade adapts though! In the swatch it does look quite dark considering it's a light/fair one but because you said it transforms, I cant tell whether it's because it's been rubbed into the pores or it's just magic! I keep seeing reviews of this product! It sounds really interesting and something I'll definitely have to look into. I'm looking forward to summer so that I can wear this! I agree with everything you have said.